When Ben Begley came to the Pine Mountain Settlement School in March 1986 as the director of environmental education, he envisioned a short five-year stint before moving on. However, his stay lasted twenty-eight years, teaching day camp students and visiting school students about the natural world, using the School’s 800 acres, home to many rare plants and animals, as a laboratory. 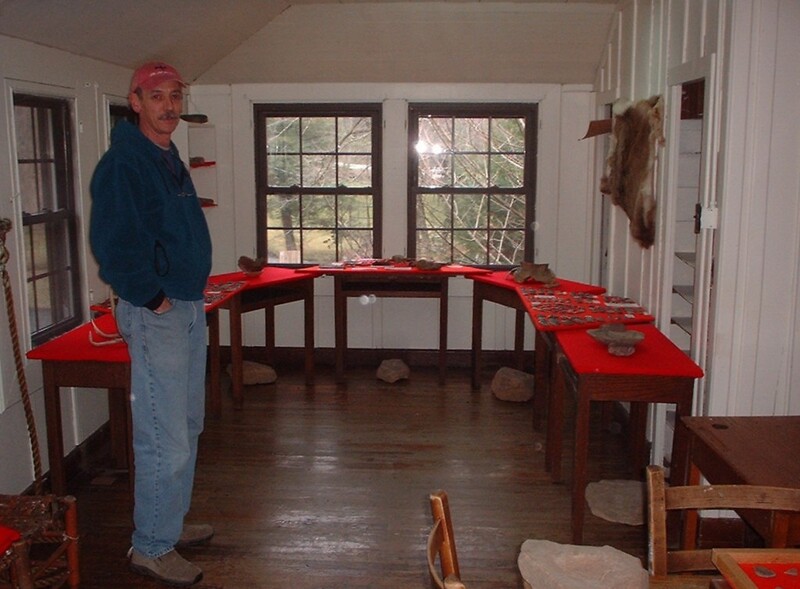 Born in 1952, Benjamin (Ben) Clay Begley spent much of his youth in Kingsport, Tennessee, exploring the outdoors with his three brothers and his Boy Scout troop. After high school graduation, he served in the U.S. Air Force for four years before attending East Tennessee State University (ETSU) on the G.I. Bill. His keen interest in the natural sciences led to a degree in zoology, then a graduate degree in botany, also from ETSU. Ben’s first challenge was to revive the program. He turned for help to naturalist Afton Garrison of Essie, Kentucky, and Mary Rogers, a self-taught naturalist and wife of retired Pine Mountain director Burton Rogers. Together they improved existing classes and created new ones. They recruited schools to come for multi-day visits. Their efforts resulted in more than 3,000 students annually attending classes at Pine Mountain. Each year for nearly seven months, Ben and his staff (which included his wife Patricia “Pat” A. Begley who began teaching at PMSS in 1989) conducted classes for school groups. During the rest of the year, Ben lead two spring wildflower weekends, a fall color weekend, and the four-day forest study workshop “In the Footsteps of Lucy Braun.” He assisted with the School’s day camps for local children and the week-long summer Reading Camp for third and fourth graders, often enhancing his talks with Appalachian stories and music. Ben’s dedication to his profession and the School was not only evident in his teaching but also in the many projects he had undertaken, including the following: drafting the groundwater stream head protection plan for Pine Mountain’s reservoir; in 1999, supporting efforts by groups to save the top of Black Mountain from a proposed mountaintop removal mining operation; and working with others on a petition in 2000 to declare 2,500 acres close to the School as unsuitable for mining, a dispute with a coal company that eventually ended when the state declared the area off-limits to mining. 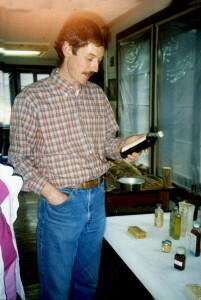 According to the October 2008 Notes, Ben has been a longtime member of the Kentucky Society of Natural History (KSNH) and served as its president for two years. In 1992, he was designated by KSNH as “Naturalist of the Year.” He also received a Schuller Spirit of AMERC Award for 2008-2009 from the Appalachian Ministries Educational Resource Center, whose students make annual winter visits to Pine Mountain. Ben is an outstanding naturalist and biologist, a pre-eminent environmental educator, a strong conservationist, and a talented and creative storyteller and artist, not to mention a wonderful, warm-hearted person. On December 12, 2013, Kentucky State Nature Preservation Committee bestowed its highest honor, the 2013 Biological Diversity Protection Award, to Ben and Pat Begley. The award was given in recognition of their 28-year tenure teaching environmental science to more than 75,000 students at Pine Mountain Settlement School. In 2014 Ben and his wife Pat retired to their new home in New Mexico. Begley, Benjamin Clay, — 1952 – . Ecology — Study and teaching — Kentucky. Any display, publication, or public use must credit Pine Mountain Settlement School. Copyright retained by the creators of certain items in the collection, or their descendants, as stipulated by United States copyright law. “Ben Begley, Director of Environmental Education.” Notes from the Pine Mountain Settlement School. (October 2008): 6. Print. PMSS Staff Database. Pine Mountain Settlement School institutional Papers, Pine Mountain Settlement School, Pine Mountain, KY. Internet resource.